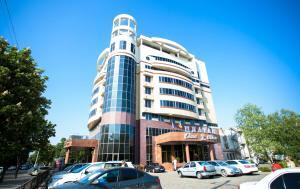 Located in Krasnodar, a 2-minute walk of 30-Letiya Pobedy Park, Park Hotel features a free sauna. 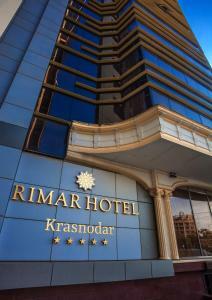 Krasnodar-1 Train Station is 4 km from the hotel. Free WiFi and free private parking are available. The comfortable air-conditioned rooms feature modern design. They come with a flat-screen TV and fridge. The private bathrooms are equipped with a bath. The restaurant at Park Hotel serves European cuisine. There is a 24-hour front desk at the property. 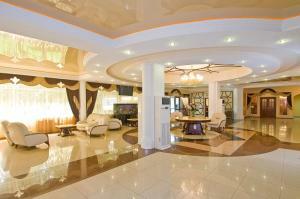 Guests can visit a spa centre with Russian sauna and massage, as well as a beauty salon. When would you like to stay at Park Hotel ? This air-conditioned suite features river views. It has a living room with a sofa and flat-screen TV and a fridge. The private bathroom comes with a bath, hairdryer and free toiletries. This air-conditioned junior suite has a sofa, flat-screen satellite TV and a fridge. The private bathroom comes with a bath, hairdryer and free toiletries. This air-conditioned room features extra space. It has a flat-screen TV and fridge. The private bathroom comes with a bath, hairdryer and free toiletries. This air-conditioned room has a flat-screen TV and fridge. The private bathroom comes with a bath, hairdryer and free toiletries. This twin/double room has air conditioning, minibar and soundproofing. This double room has a minibar, air conditioning and soundproofing. Each day we'll check prices and send you an email for your selected dates at Park Hotel. If you don't have specific dates but would like to check prices for say next weekend or say next month we can check the price too. Click to write a review and share your experience of Park Hotel with other travellers.